Mount Crosby Water Treatment Plant is a key part of providing safe drinking water for South East Queensland. When looking to provide a long term roofing solution for storing treated potable water at the West bank plant in 2014, Permalite® Aluminium was selected. Curved hot dip galvinised rooftrusses formed the structural element to the roof structure with some 3400lm of Permalite ® marine grade aluminium purlins fitted to provide fixing for the approx 2800m2 of Permalite® LT7 cladding which was sprung curved over the 33m radius of the structure. Thomas Roubinet, Freyssinet’s Project Engineer for the Mt Crosby works had this to say about the project. “We worked closely with the Permalite team for the delivery of this project. The physical constraints of the site made the project logistically demanding with very tight and steep access to the construction site as well as the complications of working over a live drinking water storage tank. 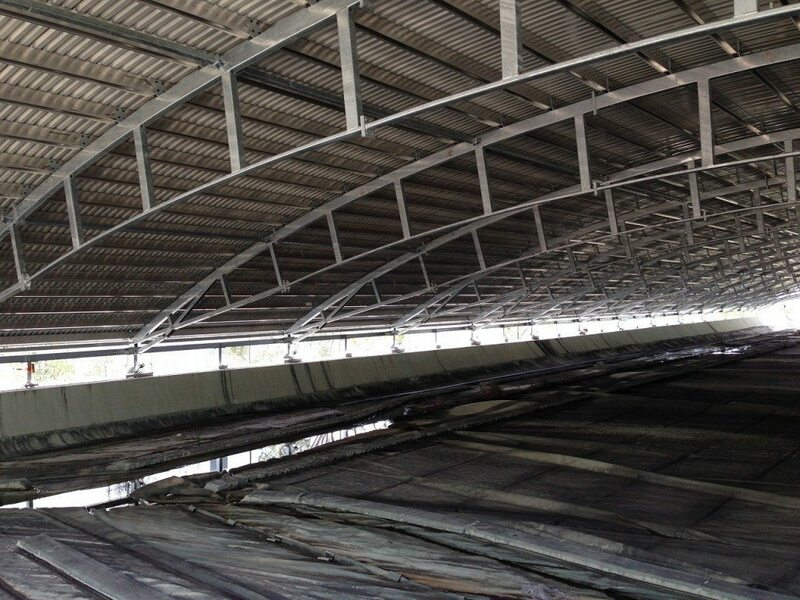 Working with Permalite’s technical Manager Rob Price we were able to ensure that the Aluminium purlins were detailed to exacting tolerances with pre-punched holes aligning exactly to our structural trusses. 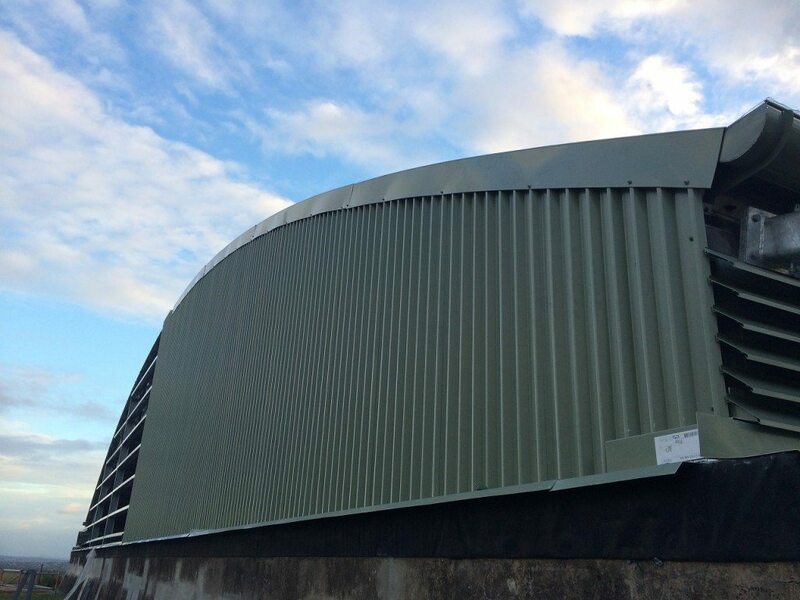 Permalite provide invaluable assistance with isolation details to ensure that dissimilar metal contact would not be an issue and assisted with the design and delivery of an array of curved aluminium flashings to finish the project. Permalite had the full range of accessories from Stainless steel fixing screws, to Aluminium formed washers and Stainless steel purlin bolts. The 40 year warranty provided to the client in a corrosive environment was an important factor in considering Permalite® materials for the project”. 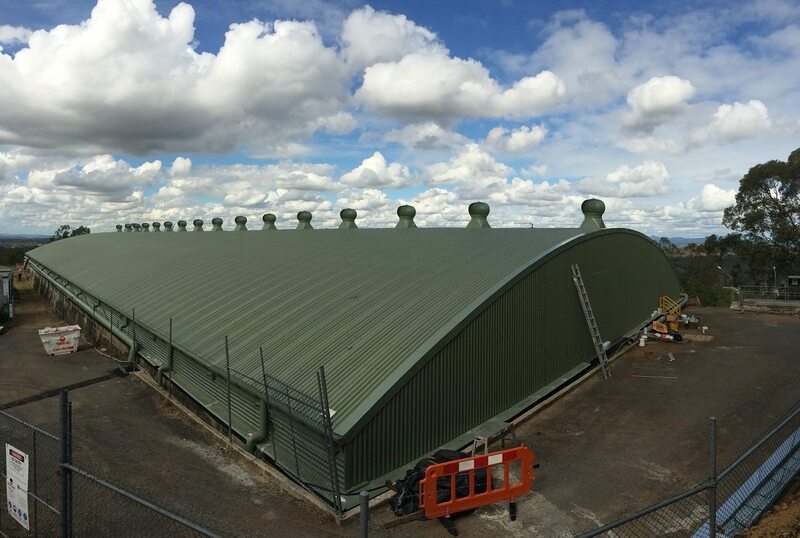 Rob Price commented that “the strength and flexibility of the Permalite LT7 profile allowed it to be sprung curved over the structure without the need for any specialised equipment providing a economical long term solution for the project. Permalite has a long history of working with Potable water reservoirs with many examples of reservoirs built in the 1960s with Permalite aluminium roofing still in service today without any corrosion issues. 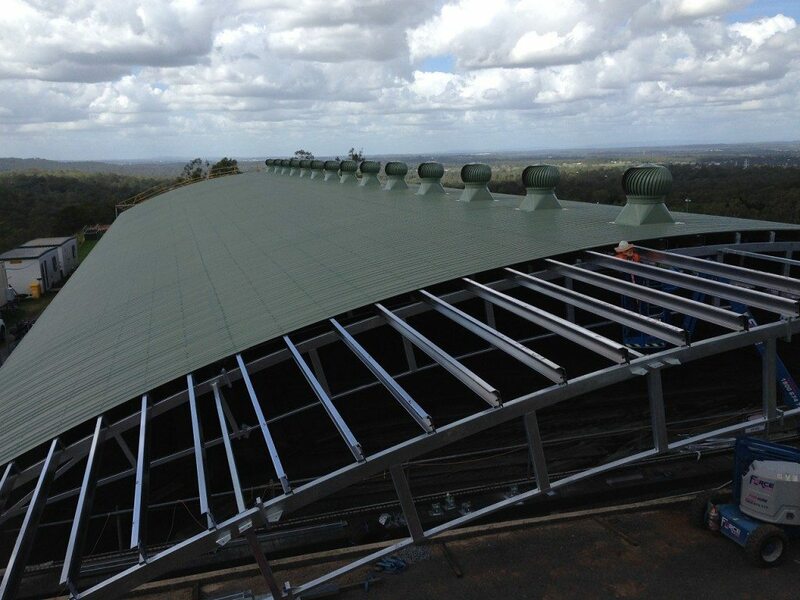 The Mount Crosby roof should still be part of Seqwater infrastructure for many many years to come”. To download a hard copy of this case study click here.